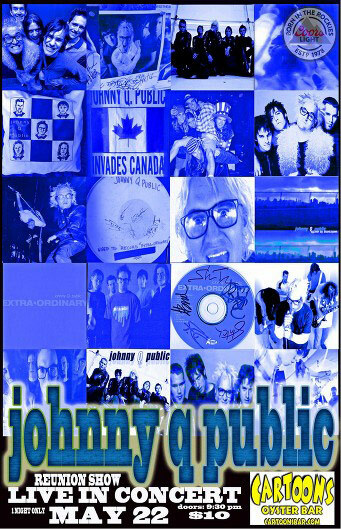 Former Gotee Records rock band johnny Q. public will be performing a reunion show at Cartoons in Springfield, MO this Friday, May 22. The band was active in the mid 90s before breaking up and reforming to release their September, 2000 sophomore release Welcome To Earth, only to break up again soon after. The band had become known for their quirky live show and personalities and garage rock style music. Visit http://cartoonsoysterbar.com/calendar/1845865 for details on the show and to order tickets. Doors at 9:30 with a $10 cover charge. For more info on johnny Q. public visit the JFH Artists Database.